Jim Dodson Is a Clearwater Car Accident Lawyer Providing Help for Injured Victims. ?What are the Penalties for Hit and Run Drivers in Florida? ?What are the Most Common Misconceptions About Car Accidents in Pinellas & Hillsborough Counties? ?The Driver Who Ran into Me Didn’t Get a Ticket, Do I Have a Case? ?Driver Hit the Gas Instead of the Brake, Do I Have a Case? ?How Long Will it Take to Settle My Auto Accident Claim in Florida? ?When a Car Crashes into the Back End of the Car Ahead, is that Driver Automatically at Fault? ?What are the Common Causes of Intersection Car Accidents? ?What Determines Who Is Responsible for a Florida Traffic Accident? Posted on 10/31/2016What Does Full Coverage Really Mean On Your Auto Policy? Posted on 05/23/2016What if Everything You Knew About Your Insurance was Wrong? Posted on 05/12/2016What if Everything You Knew About Your UM Coverage is Wrong? What You Should Do After a Florida Car Accident? Not everyone who has been in a accident is ready to contact a lawyer. But most everyone wants information that will answer those questions and concerns. We Believe Clients and Trust Matter. Car accidents are still one of the most common reasons people call us. Unfortunately, they remain one of the leading causes of death in the United States. In fact, according to the National Safety Council it was estimated that during 2013, 35,200 people died in U.S. traffic accidents and nearly 3.8 million crash victims suffered injuries that required medical attention. If you are on our website, chances are you or someone you know was hurt in a crash and you need help. Suffer a Head Injury? We Can Help. This is one of the leading causes of car accidents across the nation and Florida is no exception. Texting, talking on a cellphone, adjusting the radio, eating and drinking, putting on make-up, talking to passengers or assisting children in the back seat are types of distracted driving and lead to some of the most serious accidents we see. Any behavior that takes the driver’s attention off the road is dangerous. And, when drivers injure someone else because of some type of distraction, it is negligence. Let’s be honest, most people admit they speed occasionally. But, most people don’t end up causing an accident which injures or takes the life of someone else while speeding. NHTSA reported in 2013, speeding was the second leading cause of fatal collisions in Florida. Drivers who recklessly exceed the speed limit and cause accidents must be held accountable for the harm they cause. There is nothing accidental about drunk driving. The person who drinks and drives is doing so intentionally which makes it entirely preventable. Jim is former Chairman of the Pinellas County MADD Advisory board which is working to eliminate and prevent driving under the influence and impaired driving. DUI was the number one cause of fatal car crashes in Florida in 2013. Jim has written a free guide he makes available to anyone who has been affected by a drunk driving crash. A growing threat to driving safety is the sharp increase of drivers who are impaired by drugs and prescription medications. In fact, law enforcement now reports more stops are made for impaired driving than for DUI. These stops are commonly made during the middle of the day. And, many drivers who are pulled over are on pills prescribed by their doctor or a combination of them. These drivers are no less dangerous than someone who has been drinking and they cause accidents everyday. Auto accidents can also be the result of careless driving, rubber-necking, driver fatigue, unsafe roadways and construction, defective car parts and bad weather. Over the years, we have met with many victims of crashes who said they never thought it would happen to them. Car crashes happen for a number of reasons. Florida roads include a variety of drivers, from very experienced to teens who are driving for the first time as well as an increasing population of elderly drivers. Below are some of the most common types of car accidents we see in our law practice. The most common type of car accident is a rear end collision. 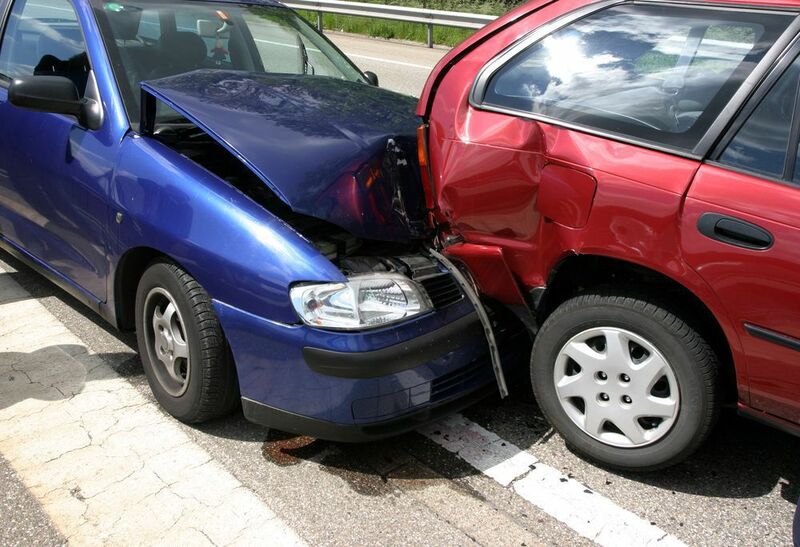 NHTSA reports almost 30% of all car accidents are rear-impact crashes. When a rear end collision occurs, it is almost always caused by the driver behind the impacted car. Typically, because the driver is tailgating, speeding, distracted or just not paying attention. All car accidents are devastating, but when a driver leaves the scene of a collision they caused, it’s an unthinkable act. It happens more than you might know. Twenty-five per cent of all crashes are hit and runs and more than half of these are pedestrian accidents. Hit and run drivers must be held accountable for their irresponsible act. We always advise clients of the importance of carrying UM insurance (uninsured/underinsured coverage). This is the coverage that will protect you if you are hit by a driver who leaves the scene. Car wrecks at an intersection are often referred to as T-bone accidents or broadside collisions because the side of one vehicle is hit by the front end of another vehicle. This type of accident usually results in serious injuries and even death because the cars involved are typically traveling at high speeds. The common cause of T-bone collisions is a failure to yield to oncoming traffic. A sideswipe collision is when two vehicles are driving next to one another in the same direction and one swerves into the other’s lane. This type of crash often results in catastrophic injuries and can even be fatal because air bags don't protect the drivers or passengers from the sideways blow. The most common reason for a sideswipe accident is because a driver changes lanes without turning to check the mirror's blind spot. Other reasons could be driver distraction, loss of control on a wet pavement, traveling too close to cars parked on the side of the road or aggressive driving such as speeding and weaving in and out of cars on a busy interstate. Car accidents leave drivers and passengers with very serious injuries that require lots of medical attention and recovery time. Unfortunately, some injuries are so debilitating that lives are changed forever. Below is a list of some types we have seen in our injury law firm. The acceleration/deceleration in an automobile accident can cause the drivers and passengers to be jolted or thrown back and forth. 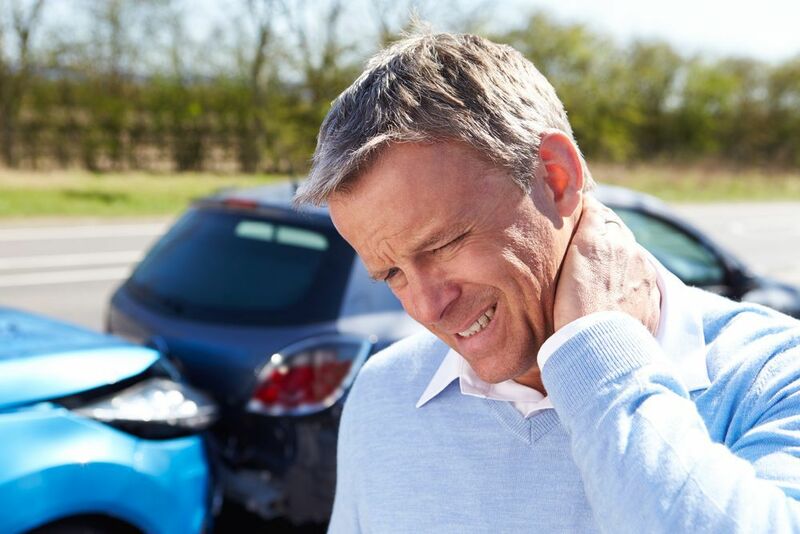 Whiplash is the most common injury suffered in vehicle accidents but can be one of the least serious. However, severe cases can damage the vertebrae, ligaments or discs and even the spinal cord in the neck and the back. Something this serious could result in the loss of function of the limbs or even paralysis. Closed head and traumatic brain injuries are a very common injury caused by a serious car accident. They often occur when the head makes contact with some part of the vehicle even including the airbag. The National Institute of Health reports about half of all traumatic brain injuries are a result of car collisions, motorcycle crashes and bicycle accidents. Many times people who are injured in a car crash suffer broken bones and fractures. Most of the time these types of injuries require surgery and if there are multiple fractures the injured victim may have to have a series of reconstructive surgeries. Fractures can occur almost anywhere after a vehicle collision but some of the most common areas are the back, skull, arms and legs, wrists and ankles, the ribs and the pelvis. Unless you have been in a serious car wreck, you may not realize the psychological and emotional injuries they can cause. It has been reported that about 30% of car accident victims suffer from post-traumatic stress disorder. PTSD is the most common psychological injury people suffer after an automobile accident. Other common psychological or emotional injuries associated with motor vehicle accidents include acute anxiety disorder, depression and driving phobias. While this is not a comprehensive list of all accident injuries, these are some of the most common that have been reported by victims. Other common injuries caused by car wrecks include cuts and lacerations, burns, loss of a limb, damage to internal organs and facial injuries. If you feel even the slightest bit of pain after a car accident, seek medical attention right away. If you don't feel like you need to ride in the ambulance, then be sure to have a friend or family member who was not in the accident drive you to the hospital for a full examination. You may not feel like you are injured immediately following a crash, but a day or even a week later you could start to have some pain. The sooner you receive the treatment you need, the better chance you will have at a full recovery. Be sure to tell the medical staff about all the pain you are having so they can treat you accordingly. Also, being as detailed and accurate as possible will help your case. Some victims of accidents put off medical treatment because they are more concerned with calling an attorney because they are wondering about what the value of their case is. But, what is more important to your case is seeking medical attention right away. If you or a family member has been involved in a car accident, there are some things you will need to remember when dealing with the other driver's insurance company. You don't want to make a mistake that could hurt your case. If you suffered serious injuries, hiring an experienced Florida car accident attorney to represent you will help you avoid harming your claim. It could be that you are in this situation for the first time, and unfortunately the other driver's insurance adjuster knows that. They know how to take every advantage and have developed strategies to get you to say something that can harm your case. If the driver at fault has contacted their insurance company, you can be sure that an adjuster is going to reach out to you very soon. In fact, they want to do this as quickly as possible so they can get a recorded statement from you. What most people don't know is that you don't have to give that recorded statement. In fact, it's in your best interest not to do so until you really know the seriousness of your injuries and you have contacted an experienced car accident lawyer. This can be a tricky question to answer because there are some forms that you must sign and others that you need to be weary of signing. 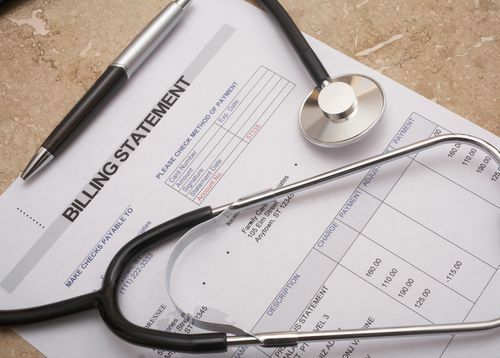 Under Florida's No Fault insurance, your own insurance will cover up to the first $10,000 of your medical bills. In this situation, they may ask you to sign a medical authorization form to make sure they get the proper records from your doctors. You should sign this form. When the other driver's insurance adjuster contacts you and asks you to sign a medical release form you should be careful in doing so. You don't have to give them access to your private medical records. The problem with signing such a form is it could give them access to any medical records that you have ever had even those that have nothing to do with your injuries from the accident. If you have a claim your lawyer will know which records to hand over and which forms you should sign. It's in your very best interest to not sign the medical release forms from the insurance company of the driver who caused the accident. If you have been seriously injured in an car accident, it's important to contact a lawyer as soon as possible, but after you have received the proper medical treatment for your injuries. Finding the right lawyer is important and there are things you should keep in mind when choosing one. Here are a few tips on choosing a good lawyer. There are a lot of lawyers out there and some of them specialize in a certain practice area. It's obviously a good idea to hire a lawyer with a lot of experience but more importantly you want a lawyer with a history of taking cases similar to yours. 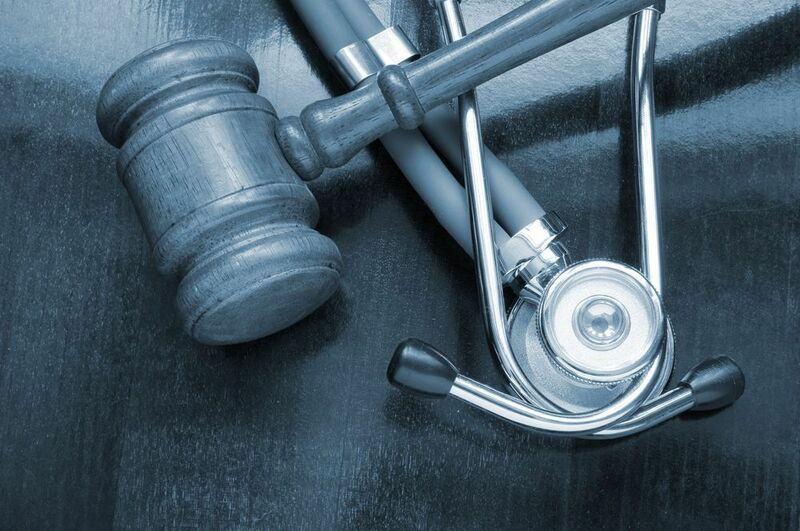 It takes years of experience in handling car accident cases successfully. You want a lawyer who has this experience and understands how to negotiate and deal with the insurance companies. There is a lot you can tell about a lawyer by asking for their education achievements, certifications, awards and membership associations they belong to. Look for an attorney who is AV Preeminent on Martindale, the most respected nationwide peer review lawyer rating services; also find out if the lawyer has a 10.0 Superior rating on AVVO, another nationwide rating service. Also, check out their website to see if they offer any free reports, videos or books they have written. This will give you a good indication of their legal knowledge. You should only choose a lawyer who uses a contingency fee. This means that you won't pay the lawyer unless your case successfully settles. There should be no up-front costs for their legal services. 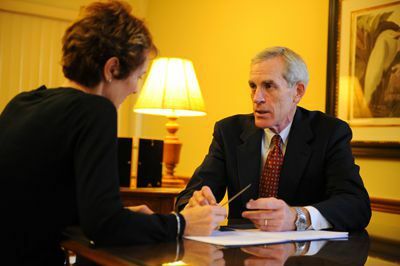 Ask the attorney to send you their verdicts and settlements. An honest lawyer will let you see their past results and previous settlements to give you an idea of what to expect. It's also very important to feel comfortable around your lawyer. When you first contacted them did you feel they were being genuine and listened to what you had to say? The steps you take after an accident can mean the difference between winning and losing your personal injury lawsuit. Find out what these steps are. Jim Dodson wrote this book to provide you with an eye-opening look at the tactics the insurance adjuster uses to reduce what you may be entitled to receive. Find out five things that will affect what your accident case will be worth. There are some factors that determine how long it will take for a case to settle. Find out what these are. Find out the questions you should be asking a lawyer before you hire them to handle your accident case. Be prepared and know exactly what to do after an automobile accident. This is a step-by-step emergency kit that fits inside your glove compartment. If you can’t find the answer you are looking for in one of the sources above give us a call at 888-207-0905 and we will point you in the right directions. Want to thank Mr. Dodson for his community involvement in educating both drivers and cyclists on their rights and responsibilities. In almost 20 years of cycling been victim of hit-and-runs as well as caught up individuals that I did not believe in court got their proper responsibility assigned. Its so easy to throw away one self's right's on ignorance or good faith. Its not about getting richer, its about not getting severely under-compensated when you are entitled. And by sour personal experience, Insurance Companies only seek their own interest. Period. Keep up the good work ! We invite you to join our family of satisfied clients. Client Testimonials… see what our clients have to say about the personal service our law firm provides and why one client said Jim Dodson restored her faith in the legal profession.